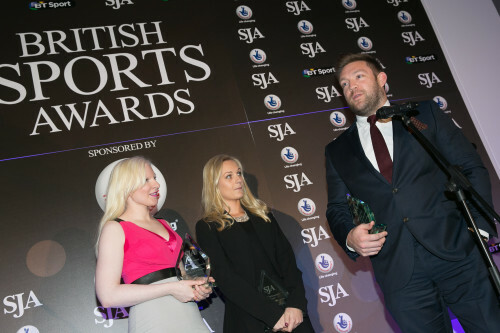 The 2014 SJA British Sports Awards staged on December 12 saw Rory McIlroy acclaimed as the 65th winner of our Sportsman of the Year title, while running mum Jo Pavey and the England’s World Cup-winning women’s rugby team took the Sportswoman and Team of the Year prizes on an afternoon when two of Britain’s greatest ever Olympians, Sir Chris Hoy and Dame Kelly Holmes, were both honoured. Golfer Rory McIlroy, the winner of two Majors in 2014 including the Open Championship, was denied a rare double at the SJA’s British Sports Awards when the Team of the Year prize did not go to the Northern Irishman and his Ryder Cup team mates, but to Katy Mclean, Emily Scarratt, Maggie Alphonsi and the rest of the England women’s World Cup-winning rugby squad. The Team of the Year vote was, possibly, the only real “shock” outcome from the annual ballot of the Sports Journalist Association of Great Britain’s members, as the Association celebrated another outstanding year for British sport, in which Jo Pavey, the European 10,000 metres champion at the age of 40, was voted as the SJA’s Sportswoman of the Year. The gala awards ceremony was held at the Grand Connaught Rooms in Covent Garden, sponsored by The National Lottery, and attended by nearly 400 celebrity guests from sport, politics and the media. In 2014, The National Lottery was celebrating 20 years of providing medal-winning funding – in total, 637 Olympic and Paralympic medals had been won by Lottery-backed British competitors since 1994. 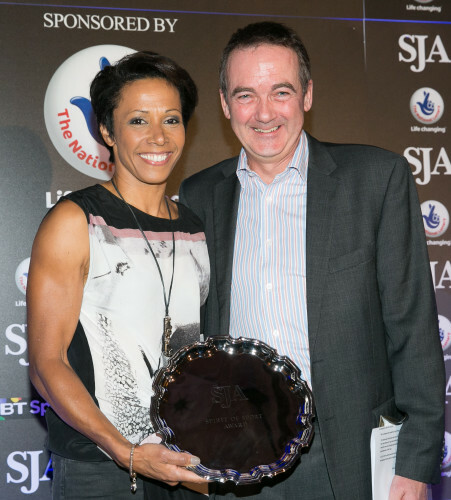 The National Lottery made its own Spirit of Sport Award to a winner of two Olympic gold medals, Dame Kelly Holmes, for her work with her charitable foundation since retiring from the track. 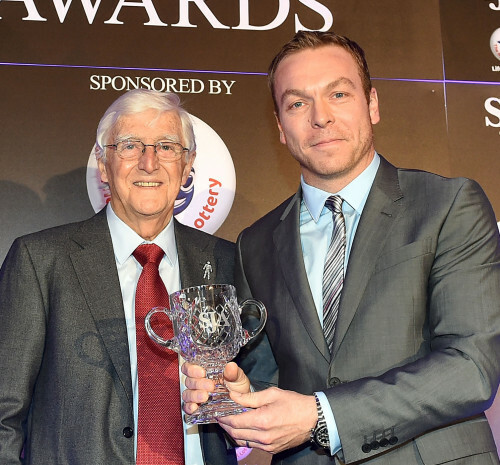 And Sir Michael Parkinson made a special presentation to Sir Chris Hoy to mark the Scottish cyclist’s career achievements, including six Olympic golds and 11 world titles. 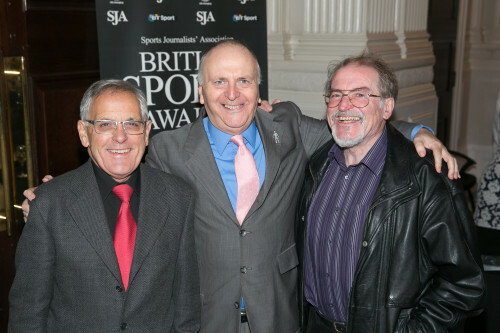 The SJA’s British Sports Awards are determined by the votes of the Association’s members – nearly a thousand sports writers, editors, photographers and broadcasters. The Sportsman of the Year is the oldest award of its kind in the country, having first been presented in 1949. In the SJA voting, McIlroy finished ahead of F1 world champion Lewis Hamilton and Commonwealth and European long jump gold medal-winner Greg Rutherford. McIlroy is the first golfer to win the cherished silver cigar case trophy since Sir Nick Faldo in 1990. The last time a Northern Irishman won the SJA title was the champion jump jockey, AP McCoy, in 2010. Pavey won the hearts – and minds – of the shrewd press box judges in casting their votes for her inspiring tough running to win the European 10,000 metres title in the summer. 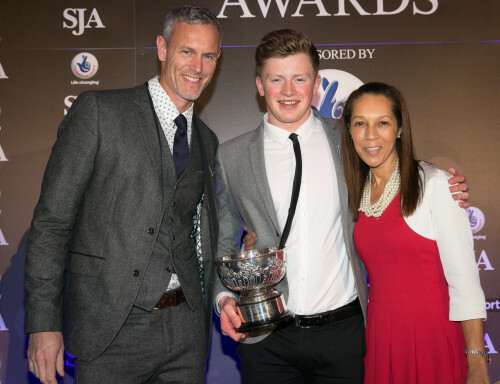 Athletes have dominated the SJA’s Sportswoman of the Year title, winning it 26 times since it was first presented to Mary Bignal (later Mrs Mary Rand) in 1959. 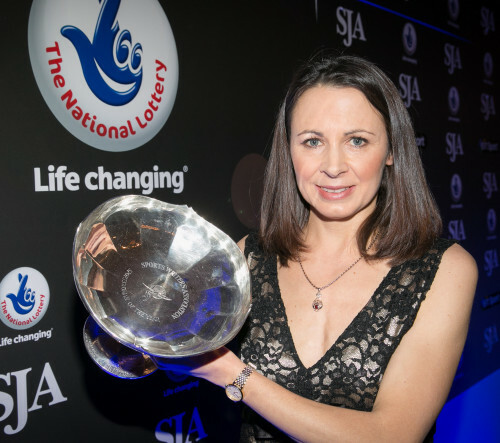 Pavey is the third woman athlete to have won the SJA title in the last three years, following Olympic and world champions Jessica Ennis and Christine Ohuruogu. Runner-up in the 2014 voting behind Pavey was Winter Olympics gold medal-winner Lizzy Yarnold, Britain’s sole Sochi champion after hurtling downhill on her skeleton bob. Third was teenaged gymnast Claudia Fragapane, who won four gold medals at the Commonwealth Games in Glasgow. The voting was closest for the Team of the Year, which Europe’s golfers have won three times in the past decade. But in 2014, their claims were less compelling for our voters than the England women’s team which managed to win the Rugby World Cup for the first time. Behind the rugby players and golfers in the SJA voting was Britain’s world title-winning men’s eight rowing crew. The rugby players are the first women’s team to win this SJA title since their Ashes-winning cricket counterparts in 2009. Other award-winners at the SJA awards lunch were the Yorkshire organisers of the Grand Depart for the Tour de France, who took the BT Sport-sponsored JL Manning Award for services off the field of play. 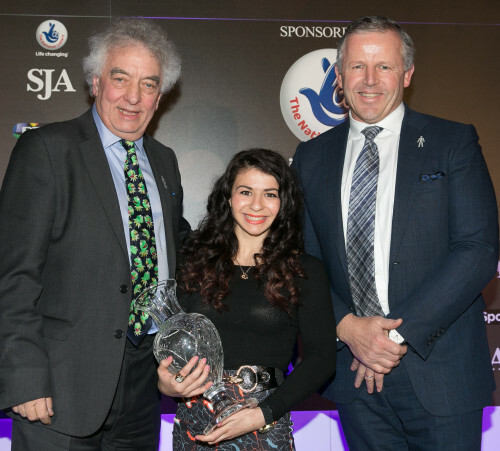 The SJA recognised burgeoning new talents with three separate prizes: Claudia Fragapane, who has celebrated her 17th birthday since the Glasgow Games, received the SJA Committee Award, while the International Newcomer Award went to England cricketer Moeen Ali following his debut season, and the Pat Besford Trophy for the outstanding performance of the year went to world record-breaking swimmer Adam Peaty. Discus thrower Dan Greaves and skier Kelly Gallagher, with her guide Charlotte Evans, won our Bill McGowran Trophy for achievement in Paralympic sport. 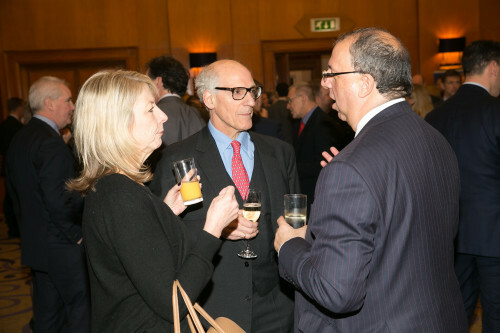 But the show-stopping award presentation was surely that made by the SJA chairman, David Walker. For the prize in his gift, the Daily Mirror’s sports editor chose to present the Chairman’s Award to Lou Macari, Neil Baldwin and screenwriter Peter Bowker, who brought to life Macari and Baldwin’s time together at Stoke City in the acclaimed and uplifting BBC TV drama Marvellous, starring Toby Jones. 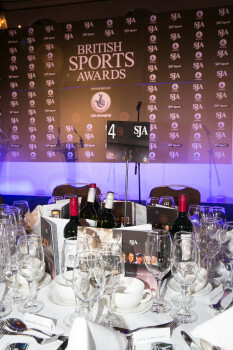 The Sports Journalists’ Association is the world’s largest national organisation for sports reporters, editors, photographers and broadcasters. We accept membership applications from professional sports journalists, but also have an associate member category for those working in sports PR or for journalism students consider their career options.